Wp2187172 fits whirlpool, sears. 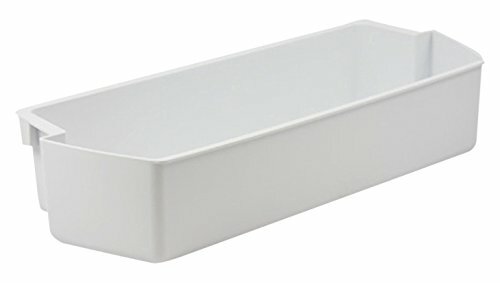 Refrigerator storage bin white plastic 3 1/2'' deep 15'' wide replaces 2187172, ap6006028, 2187172k, 2187194, 2187194k also for admiral, sears, maytag, kitchen aid, inglis, roper, jenn air, magic chef, estate, amana made in usa - manufactured in hatfield pa. 5 year warranty. If you have any questions about this product by Edgewater Parts, contact us by completing and submitting the form below. If you are looking for a specif part number, please include it with your message.